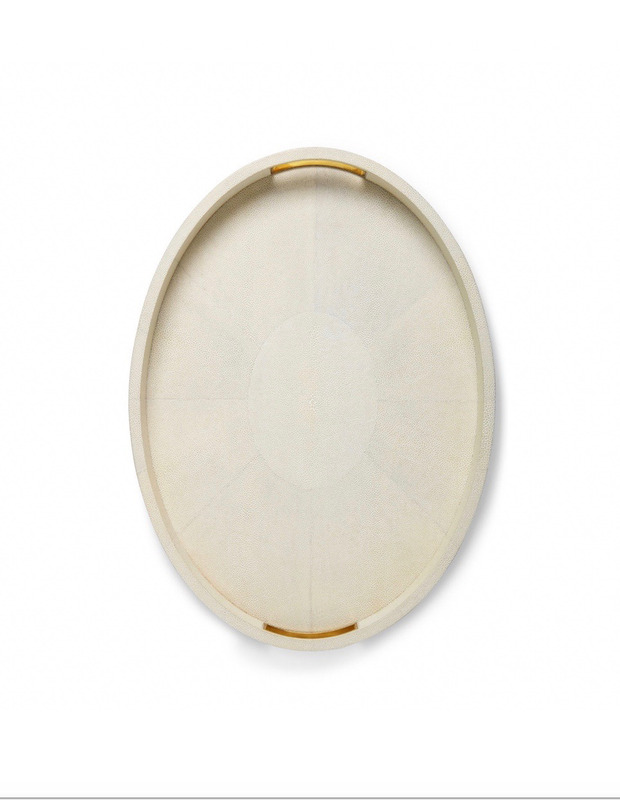 This stylish oval tray has a luxurious shagreen finish and integrated brass handles, which do not distract from the smooth beauty of its shape. Other colours available. 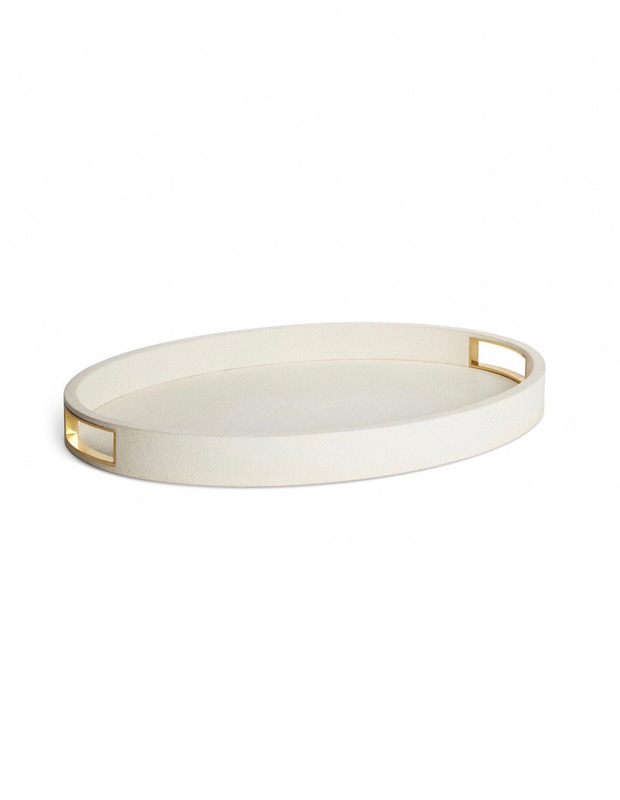 This stylish oval tray has a luxurious shagreen finish and integrated brass handles, which do not distract from the smooth beauty of its shape. Use it as an elegant home bar or for organizing objects on a bookshelf or table. 20.3" x 14.5" x 1.8"